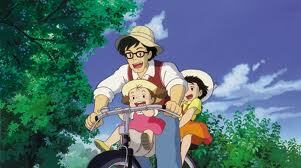 Speakin' Geek: 'Studio Ghibli' Season. Today is big, a lot of great things have happened and I'm really happy about them, but you didn't come here to hear about my life. You came here to read about my opinions on films. After finding out about my news I became inspired to do a film season again since my 'Double Feature' went down so well last time, thanks by the way if you read it. 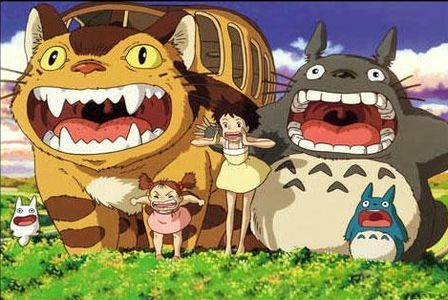 Anyway I decided that over the course of the next few weeks I will give my opinion on the wonderful collection films brought to us by 'Studio Ghibli'. I have given a review of their latest film,'From up on Poppy Hill', and people really seemed to dig it, so I am currently in the process of buying every single film from their extensive collection, watching them and then reviewing them for you. 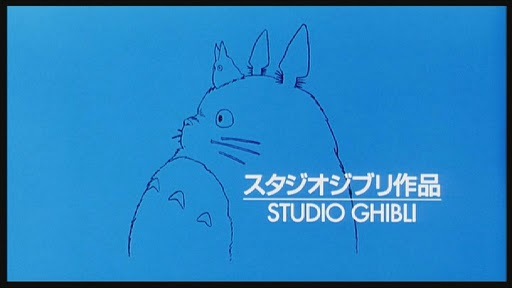 On to my first film from 'Studio Ghibli', 'My Neighbour Totoro'. Enjoy. This film is about a little family that move to rural Japan in the 1950's to be close to the ailing mother who is being treated for an unknown illness in a nearby hospital. When they move in, the two daughters, Dakota and Elle Faning, discover there may be more to the grounds they have moved into than meets the eye.They discover an old kind of magic that will open their eyes to new possibilities. Superman got nothin' on him. This film is absolutely charming,the cast are wonderful, a young Dakota Fanning who is clearly already at the top of her game, brings a wonderful vulnerability to Satsuki, While Elle Faning is charming, cute and absolutely ridiculous as Mei, the irrepressibly adorable little sister. Tim Daly is clearly having a lot of fun playing the understanding father Tatsuo. The real standout character for me however was the title character himself played with gusto by Frank Welker, a veteran of animation. 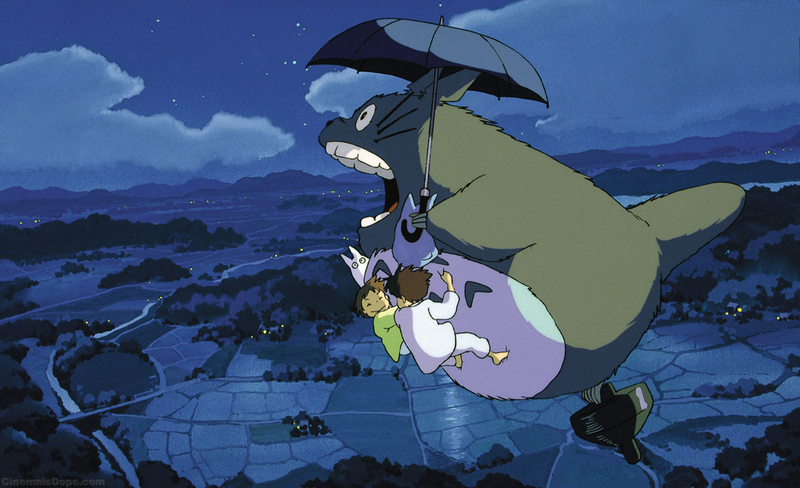 He brings such wonder to the role of Totoro, part mystical God, part cuddly toy. There are so many wonderful scenes in this film but one that stands out for me would be when the girls need help with a flower that does not want to grow. That is all I will say I don't want to ruin the joy of watching that scene unfold for you not knowing what is about to happen. Is there anything bad? A tough question to answer, I suppose the dubbing is good but the keen eyed among us will spot problems along the way. Also if you are not in the mood for a film about mystical Gods who play with children then you will find yourself at a loss here. This film is really only targeted toward the very young or the young at heart, if you are neither you may not enjoy this film. It's a fantastic film,that has aged well, if you are immature or you want to introduce your kids to a new type of fantastic this film is for you. If the sound of giant cuddly Gods weird's you out, stay away.